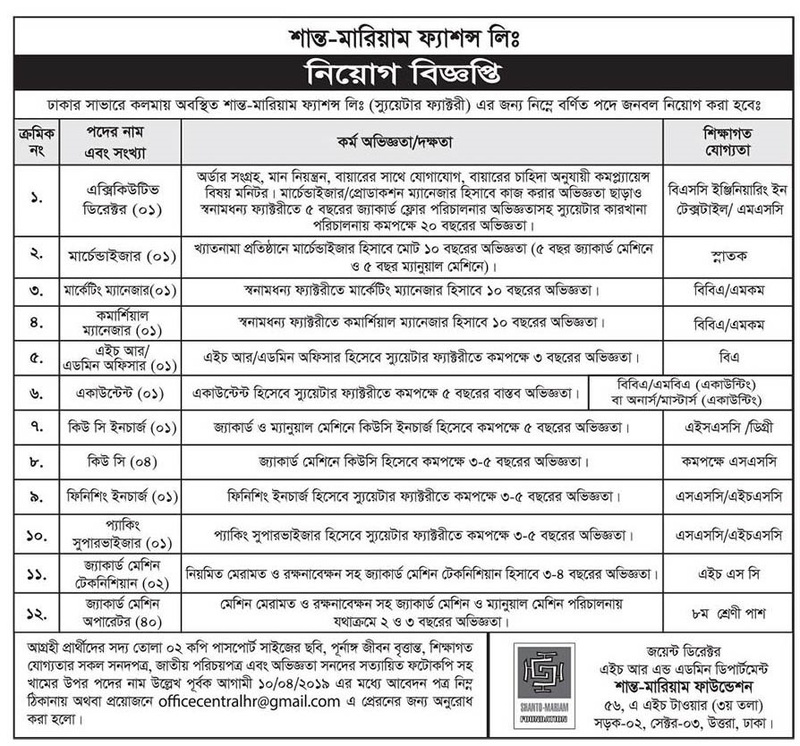 Shanto Mariam Foundation Job Circular 2019 has been published by their authority in daily online job portal and to get from the best jobs and the education portal website in BD Jobs Careers- www.bdjobscareers.com. For the user understanding, we would like to inform you that,Shanto-Mariam Foundation was in 1968. Md. lmamul Kabir Shanto was a student of class VIII. This area was plunged into the ideology of Marxicism, Leninism. As a teenager going through the autobiography of Che Guevara he got himself associated with leftist student movement. Later, in 1971 when Shanto was in his teens he took active part in the freedom fight of Bangladesh at the age of only 17 years.